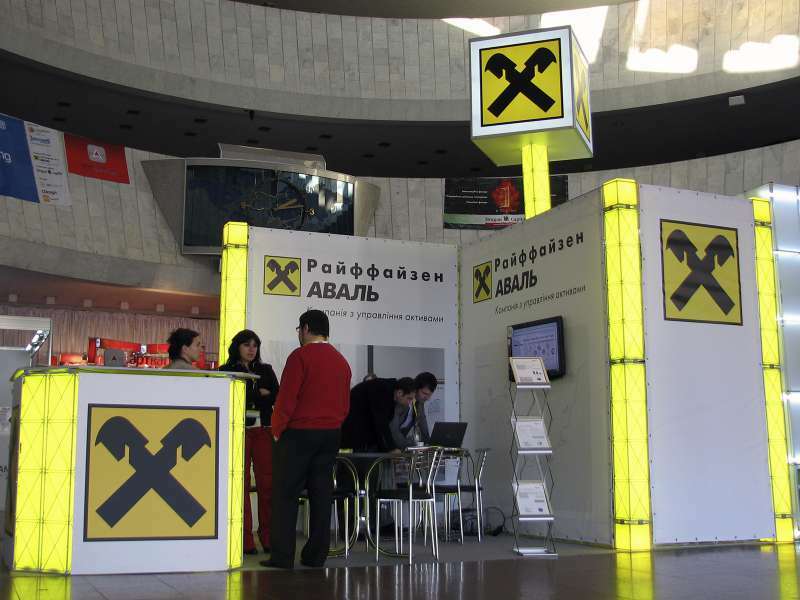 Exhibition stand in Kiev. 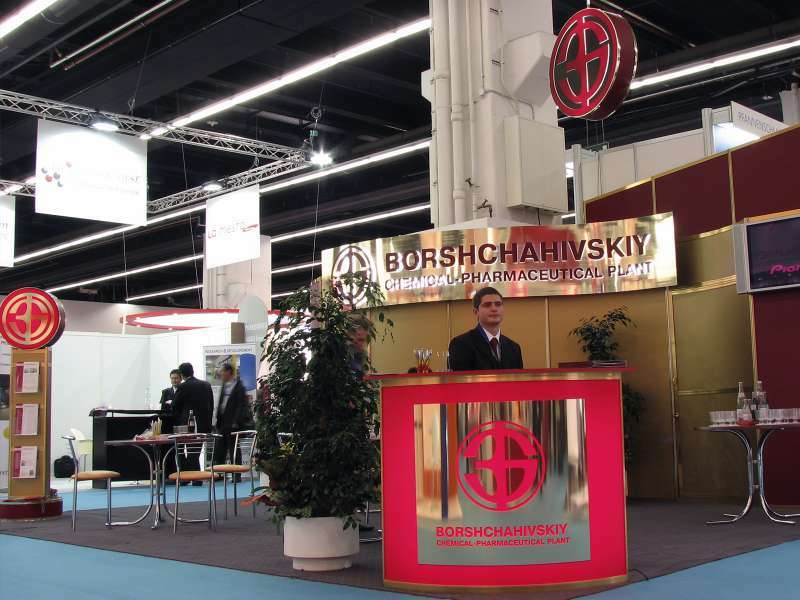 Exhibition equipment from the workshop "World of Projects"
Stand Borschagovsky chemical-pharmaceutical plant in Frankfurt. Made of standard aluminum profile. Signboard with LED backlight. Stela for booklets with a lightbox at the top. The stand is made of profiles and PVC panels, decorated with a color film. A banner with a seal is stretched on the right wall of the stand. Backlight banner and frieze carried out halogen spotlights. 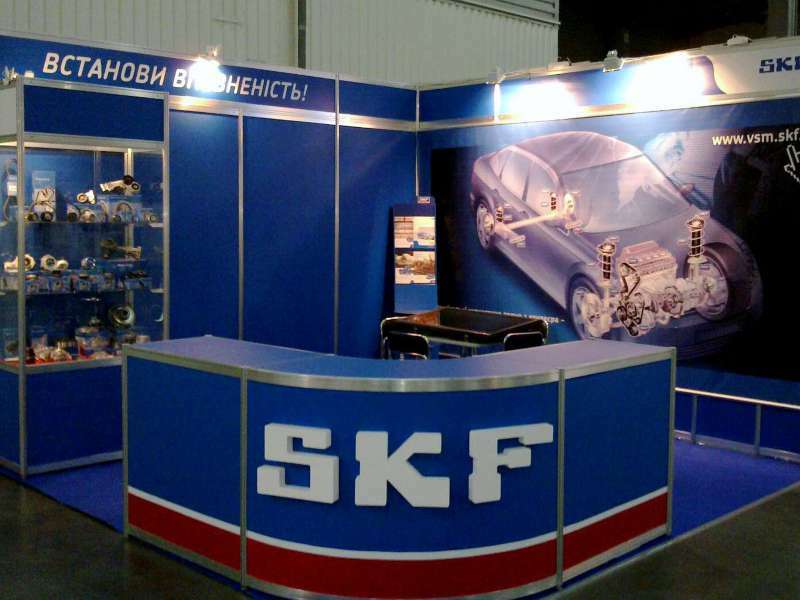 The table-reception is decorated with volumetric letters of the logo of the company "SKF EUROTRADE AKTSIEBOLAG"
Taking part in the exhibition is a serious project both for any participant and for the company-contractor. It happens because the event has the exact dates of its beginning and its end. When you work with unreliable partners, you have a risk to undermine the deadline and to get unfinished stand. In this case, you will not have time for re-doing your stand – the period of montage is limited by two or three days. 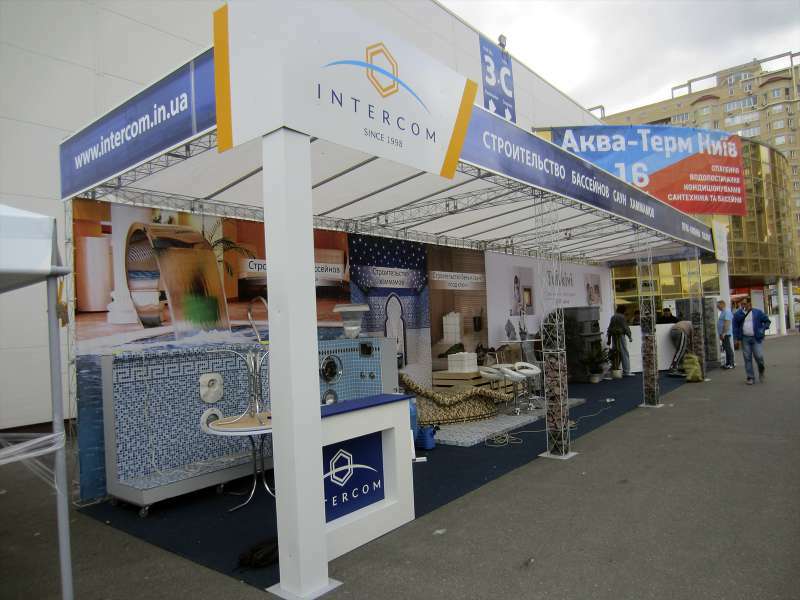 We understand perfectly well that the responsibility, which we undertake when we conclude a treaty on cooperation, is very serious, because from the moment of foundation of the company, we have been designing and manufacturing the equipment for the exhibition stands and we know perfectly well which nuances can appear at all the stages of working from design to montage. Thanks to the competent planning and automatic system of the manufacture, we never undermine the deadline and guarantee well-made product. When we say “Yes, we can!”, it means that our production will be fullfilled exactly within the terms of production without extra embezzlement. 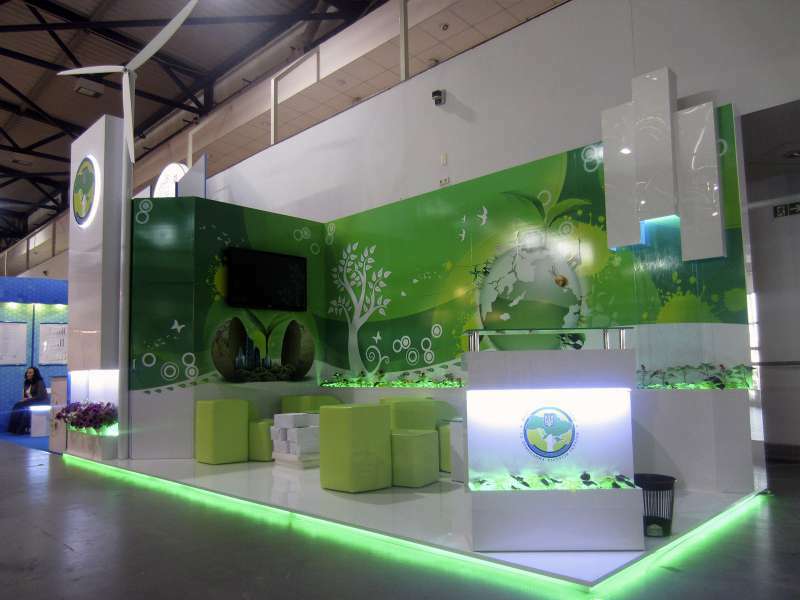 To bring potential customers to your stand, having spent a little amount of money is our main aim, which we follow while designing your stand . 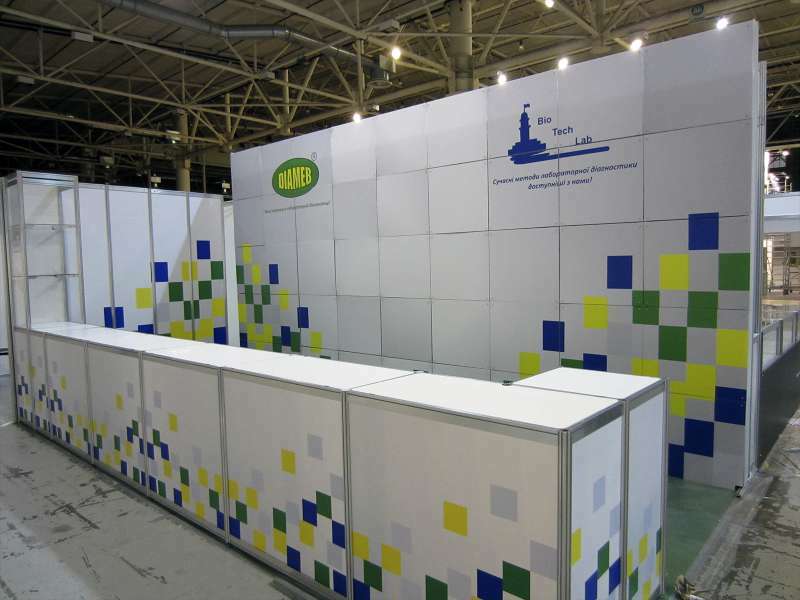 Exhibition stand is based on a standard aluminum profile. 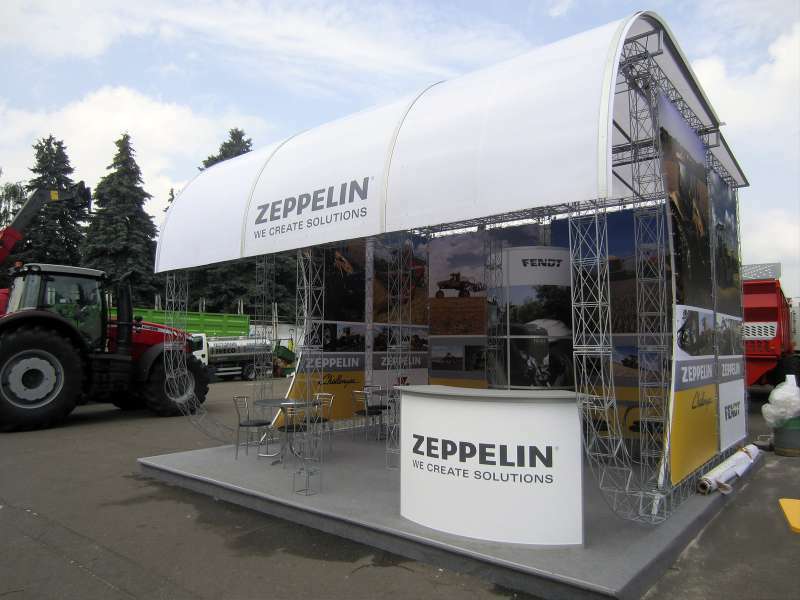 Exhibition stand based on a standard metal truss. Metal trusses allow you to build a high and strong construction. A framework is built from metal trusses, which are sheeted with sheet materials or tightened with a banner. They may be either small or giant, but the result is only one – guaranteed uniqueness and originality. What can you do if you don’t have much money but you need to take a part in an exhibition? We can offer a wide range of mobile constructions – they are light, elegant and reliable . Installing them you can use space effectively. 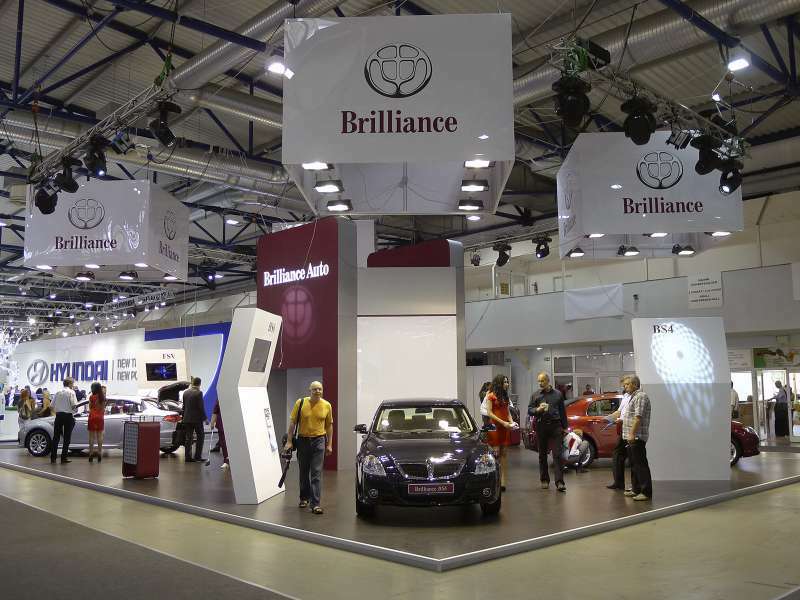 We can produce mobile stands Pop-Up, X-Banner, Roll-Up for branding, folding booklets, mobile promo-stands, spotlights and other equipment for exhibitions. In which city, country or in which exhibition center the exhibition must be held. Why? Because while designing stand we need to take into account such things: height of the ceiling, its configuration, possibilities for unloading of large elements of the stand, demands of the exhibition stand about project documentation, exhibition plan with pointing where your stand is, into account layout (graphical visualization). Indicative budget. Our main aim is not to sell you cheap product for a big amount of money, but to prepare maximally appropriate to your demands and cash proposition. Photos from the last events. Information about what function must do your area (communicating with several/many/stream of visitors, giving the advertisement, master classes about how to use your product etc. Zoning restrictions, description of the zones (estimates of the samples, reception, meeting room). Pressure on podium, shelves, walls etc. For example, an automobile is very heavy and needs a special podium. Wishes for the elements that make up ceiling grid (if you need). Necessity of furniture and household appliances. Tables, chairs, TV-sets, refrigerator, iron etc. 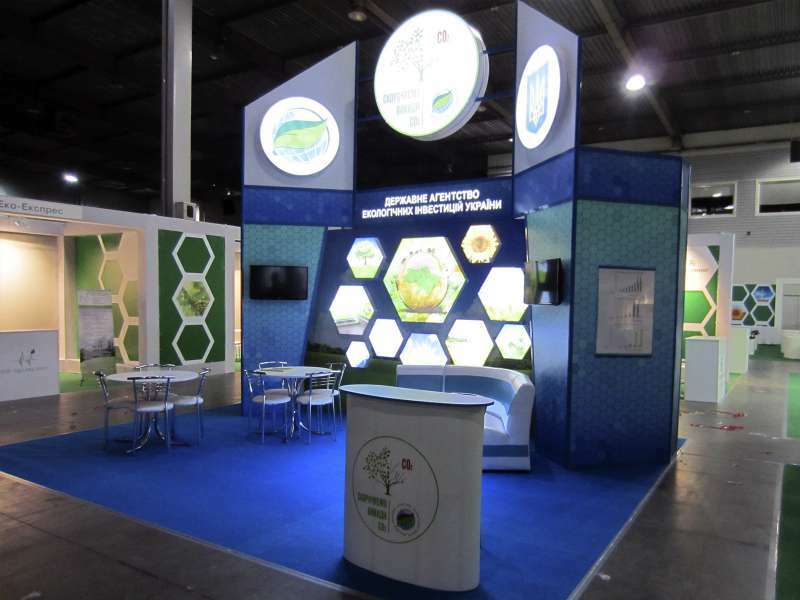 Do you want to get qualitative exhibition stand within budget and complying with deadlines? Come to our company "World of projects " ! We will work with you with great pleasure!